We are market leaders in convenience, quality and affordability. Many of our customers who have tried Molnar or Pacific hoists tell us we have the best hydraulics and vehicle hoists in the business. Building the best hydraulics and vehicle hoist business in Australia takes time and dedication. Tufflift have decades of experience in the manufacturing and sale of car hoist hydraulics. Safe, secure and certified, every Tufflift owner can be confident they are using the most trustworthy product on the market. 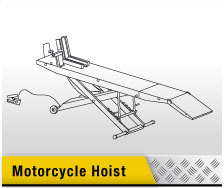 All our vehicle hoist hydraulics come with easy to follow, step-by-step instructions so installation is a breeze. For those bigger jobs, we’ll even come and give you a hand with the install. Tufflift employs a team of qualified engineers to ensure all our hydraulic vehicle or truck hoists are fit for purpose. Our staff have extensive industry knowledge to help you choose the right lift from our extensive range. At Tufflift, you will always receive the right advice and friendly service no matter what. From hydraulics for your truck or car, to information and expertise on a transmission or air jack. If you’re a mechanic looking for a hoist, air jack, transmission jack or tool for your professional workshop, we’ve got you covered. If you're a car enthusiast looking for an air or transmission jack for your home workshop, we’ve got you covered. If you’re an owner driver looking for an affordable hydraulic lift for your truck, you’ve found the right place. 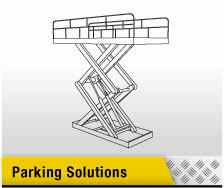 Not that we usually need it, but we also offer the best after-sale service in the hydraulics and car hoists industry. At Tufflift, we take care of you long after your purchase. Our aim at Tufflift is to help every car enthusiast get the most out of their passion. That’s why we’ve got air jacks and hoists for the workshop, hydraulic hoists for the home garage and truck hoists and advanced hydraulics for the professional workshop. We are happy to discuss the specifications of our products in detail, so get in touch today to speak to one of our friendly and knowledgeable staff members. 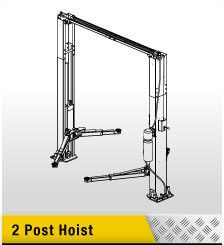 We welcome comparisons to other hoist brands on the market because we’re so confident in the quality of our products. Our state-of-the-art lifts and hoists stack up well against Pacific or Molnar hoists. 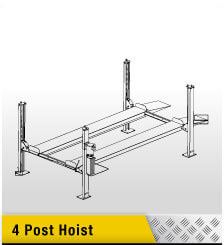 Ours last longer than any competitor hoist and we won’t be beaten on price or service. 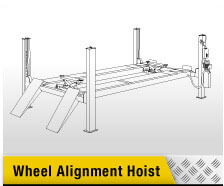 Our mission is to make choosing the right hoist simple. Our highly trained and knowledgeable staff are ready to discuss your needs and recommend a hydraulic hoist that will best suit your needs. All hoists and hydraulic lift, air and transmission jack tools for sale on our website come with our guarantee on quality and safety. Always look for Tufflift, the hoist for every space. 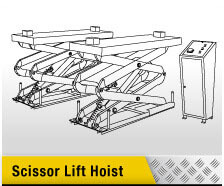 Tufflift is a leading international hoist manufacturing and distribution company based in Australia. Here you will find a range of high-quality vehicle hoists, tools, and workshop equipment to suit your requirements, whether you’re a professional or an enthusiast. Browse our extensive range of hoists, car stackers and scissor lifts online to find your perfect solution. Available in a range of sizes, we sell customised hoists and lifts to fit into most garage or workshop spaces, fit for industrial, commercial, or at-home purposes. We are one of the largest stockists of hoists in the country, with new products arriving every week, rivalling the likes of Pacific and Molnar. We offer Australia-wide delivery, plus to New Zealand, and many overseas destinations, which makes us the obvious choice for your vehicle and workshop equipment.